It was my mission last year to set out on a year of discovery and adventure. Starting at some point in 2015 my culinary adventures started lighting up and I began discovering more my love of cooking and baking. I mean I have always loved cooking and baking but my culinary adventures really started taking off and I became more interested in trying different things from different areas and making as much as possible from scratch. My culinary adventures went really well and it was really amazing until I started a new job. I have been at this job now for about 16 months and it has been really difficult. I have been working longer hours (a lot of overtime) and frankly often I come home on certain days and even the thought of picking up food on the way home or making a grilled cheese sandwich is too much work. This has resulted in a lot more eating out than I want to and a lot of time not cooking or baking. It has been difficult because I want to practice and work as much as I can on my skills but then I make of making spaghetti and meatballs but - that's at least 60 to 90 minutes with proper resting for the pasta. This is far too long on some of the work nights. So I have been trying to find a way of balancing the need to stop eating out so much, the need to be able to make quick meals that are still good, and the need to practice difference skills. 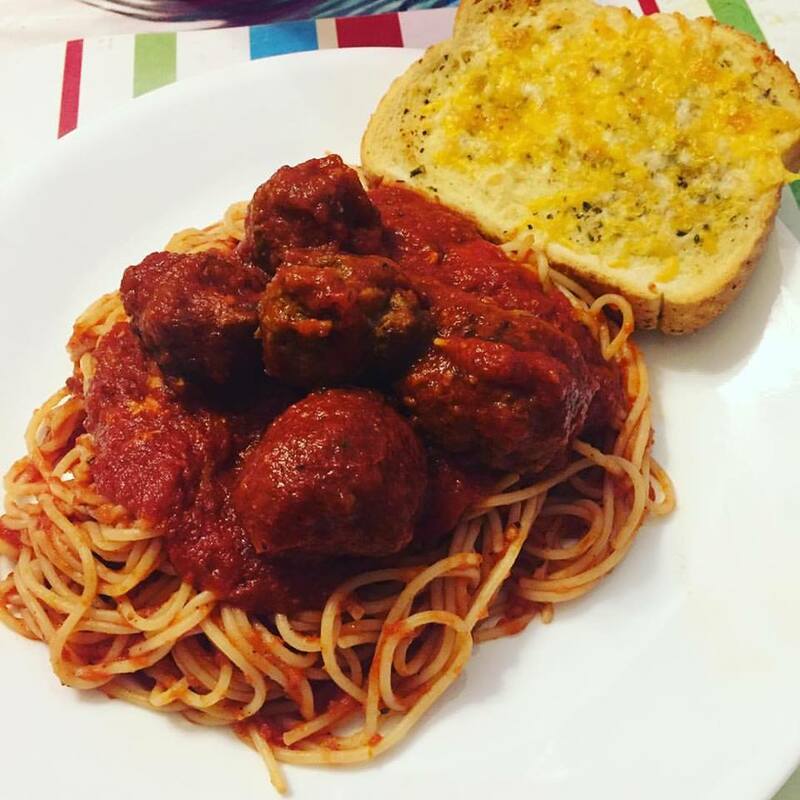 Finally the other night - for the first time in a while I found some balance with Spaghetti and meatballs (I LOVE making pasta) and Meatballs area an easy item (one of the first things I made for my husband). I managed to achieve balance in two ways. First I used store bought noodles. I used the cold water technique from Alton Browns "Everyday Cook". I was going to use store bought sauce and then make the meat balls from scratch. Although as I got into the swing of things I made the decision to make home made tomato sauce. I have a quick Gordon Ramsay version for Chicken Parmesan that I modified slightly. At the end of the night we had Spaghetti and meatballs - it took less than 45 minutes all told (that did involve some cleaning) and the meatballs and sauce was from scratch. (I should mention I also had the monkey helping me and was teaching so I think all told I could have probably gotten that down to 30 minutes. I consider that a success and honestly - with taking a few short cuts I still felt great about making it myself. Even better I was energised, excited and happy after a long day. I just need to give myself the permission to take the short cuts.